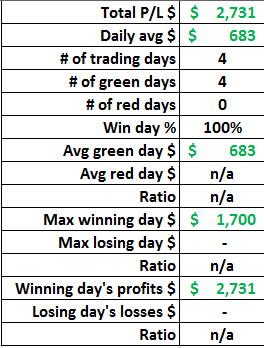 I am closing February with a profit of $2,731. Not bad for only 4 days of trading.I was traveling January and February for business. Due to that travel I was unable to trade much. I traded 1 day in January and 4 days in February. 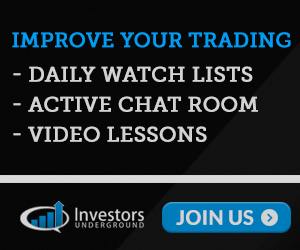 The total profits for the 2 months were $5,617–after commissions. Not bad for only 5 days of trading! I am back from my travels now and will be able to trade much more consistently moving forward this year. I’ve seen over the past two months that less can really equate to more. I have been much more picky on what trades I take due to time. 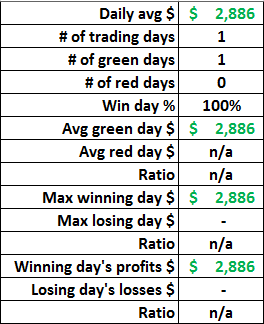 That has resulted in some nice gains and no red days. Though I don’t expect the no red days to continue, I do want to continue being more picky on the setups I trade. There has been one issue though this month that has really held me back on maximizing my gains. That is patients on my winners! My trade today on DRYS is a great example. I missed the first short on the squeeze to 2.40–I wanted 2.50 to start in. So I started short on the rebound as you will see in the chart below. I probably started in to big to quickly, but had a 2.19 average. After it peaked at 2.28 I wanted to cover 1/4 to 1/2 into a 2.07 pull. It pulled where I circled and missed my buy orders by .01. I got nervous on the bounce and covered all into that bounce. Had I just waited patiently, I would have got that cover on the next pull and doubled my profit. I missed a near $500 profit because of my lack of patients. On the 22nd the same story just a different stock–MBLY. 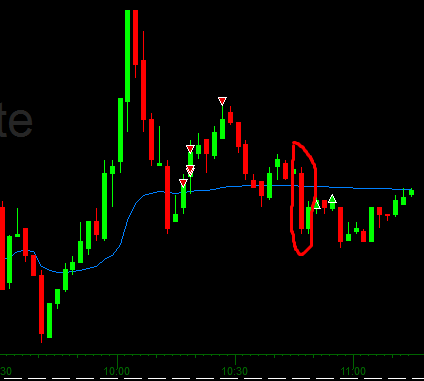 It missed my covers, it bounced, I covered into the bounce instead, and it came right back and hit my profit targets. I left over $1K on the table that day with my nervous covers. I think the key here is once there is failed follow through momentum I need to work on my patience. Trust the price action and set my risk at break even. There might be times when I stop out flat, but the potential for maximizing my gains is much greater. My over anxious desire to lock in gains is ironically causing me to loose a lot of profits, so I need to work on honing this part of my trading.